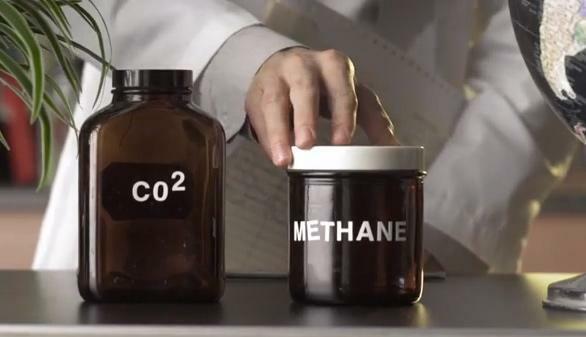 Global warming: Bill Nye teaches “Climate 101” (VIDEO). One of the biggest problems those of us in the reality-based community have in expressing the truth about global warming is that it’s a complex problem, and though we’ve known about it for decades, the effects are only just now clearly starting to manifest themselves. The folks at the Climate Reality Project have made a series of videos to help. My favorite features my friend Bill Nye—perhaps you’ve heard of him—narrating a great piece that explains, simply and clearly, what global warming is, how it works, and what’s causing it (us). Right now, the biggest problem in explaining the reality of global warming is the well-funded and quite sinister campaign to sow doubt about it. The Climate Reality Project has another video about this that I like, showing the clear and direct connection between—get this—the tobacco companies and their lobby, and that of some of the climate change deniers. That connection is quite real: Many of the same people and so-called “think tanks” who have labored for years to downplay the dangers of smoking are now shilling doubt when it comes to global warming. I think that lends a needed perspective to their credibility. As the phrase goes, doubt is their product. The skepticism we really need, though, should be aimed directly at them. The facts about global warming are in and have been for years. The last thing we need is people spinning, folding, and mutilating them.